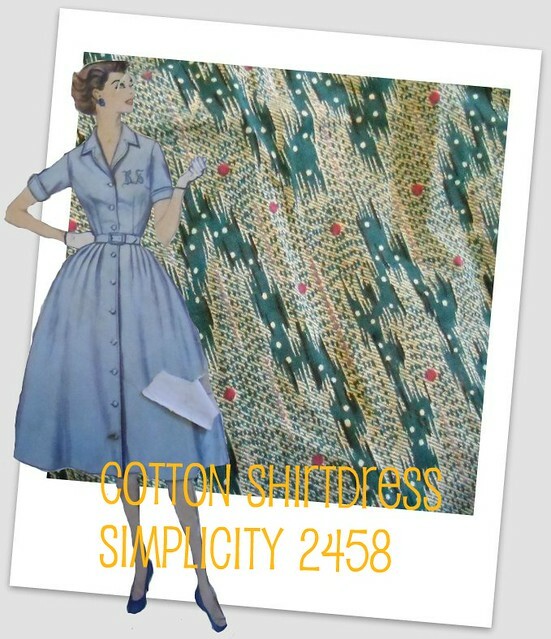 The pattern is Simplicity 2458, a sweet little shirtwaist dress with sleeve & skirt options. 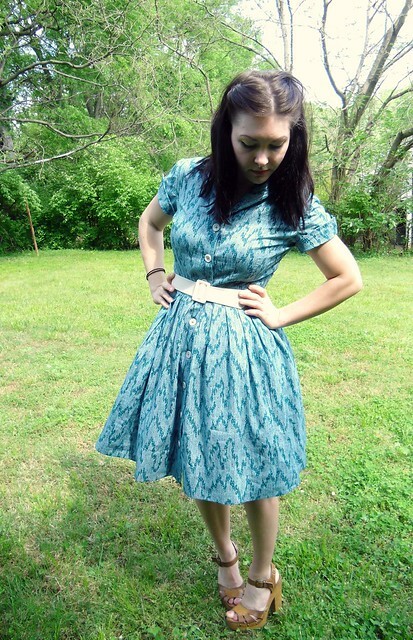 I went with view 2, although I significantly shortened the sleeves & the skirt (the original hem came down to my ankles. Ew!). The only fitting adjustment I made was to add about 1/2″ to the side seams below the bust dart – everything else fit beautifully straight out of the envelope! I need to change the buttons out because I think the white ones cheapen the look. Buttons are so expensive, though! As always, lots more pictures & info at my blog, LLADYBIRD. love the fabric,they can get over it.so cute! Love it. 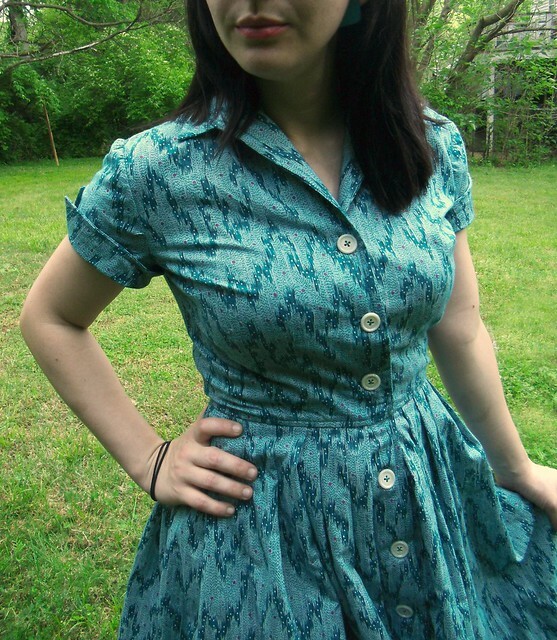 Yummy….planning on a shirtwaister for myself this summer…. I really like the fabric and the pattern is perfect. 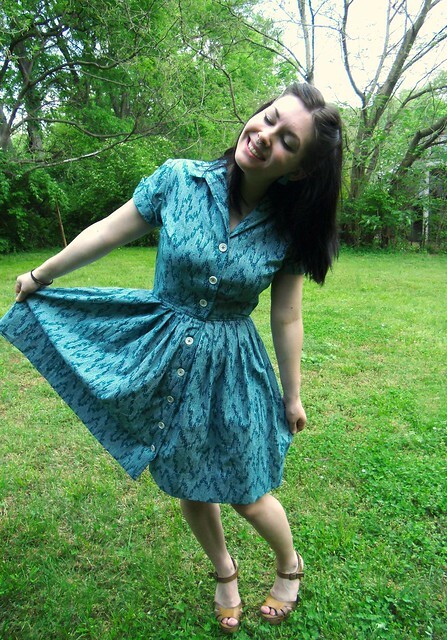 I love a good shirtdress. Oooh, I love the fabric! And your pointed cuff on the sleeves are perfect. If you’re not diggin’ the white buttons, perhaps you could try red? I think it would pick up the tiny spots nicely. Oh, I love me a shirt dress. I think you fabric is wonderful and that your Mum & boyfriend have been out voted. I agree with the previous comment about using red buttons. I honestly love this dress AND the fabric. It’s definitely something I would make and wear. You should make fabric covered buttons! I recently discovered them and I put them on everything now. 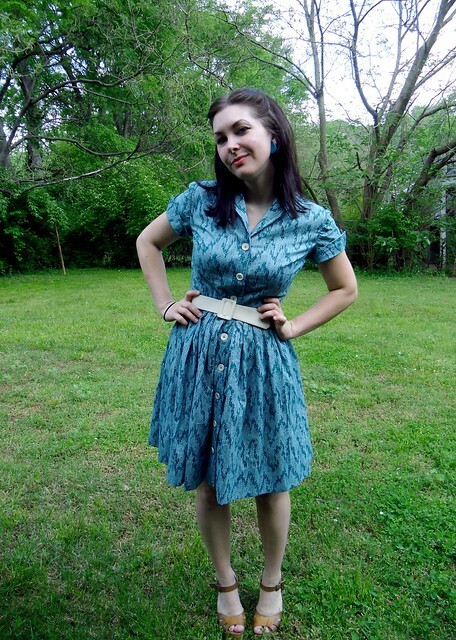 You can’t go wrong with a shirtdress. Looks fab.